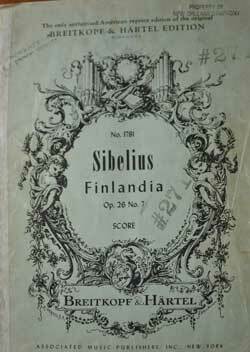 Not long ago I conducted a program with the Louisiana Philharmonic Orchestra which included the Sibelius symphonic poem, Finlandia. As part of my preparation last night, I did a quick search of YouTube to see and hear some video clips of the piece being performed live. I was delighted when I found an old black and white clip with the New York Philharmonic led by Leonard Bernstein. I’ve been a fan and devotee of Mr. Bernstein’s work since I met and studied with him in conducting classes at the Tanglewood Music Center many years ago. 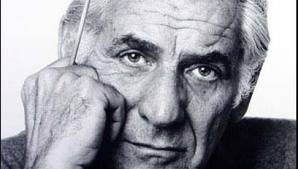 Mr. Bernstein’s conducting of Finlandia featured his usual hallmarks: intelligence, insight, and passion. But what struck me most was when the cameras cut to individual audience members. One camera lingered on the face of a young concert-goer, not much younger than myself when the performance took place, presumably sometime in the sixties. Her facial expression reflected the awe-inspiring beauty of the music and the magical moment of music-making between a great conductor and fine orchestra. Then as clearly as the events of yesterday, I saw myself sitting in front of an old 22-inch Sylvania television in Orlando, Florida—pre-Disney days when the city was a sleepy southern town—watching a Young Peoples Concert moderated and conducted by Mr. Bernstein. And I was certain that my expression and reaction to seeing the great musician and conductor those many years ago must have been similar to the expression of the young girl in the YouTube video I was watching.